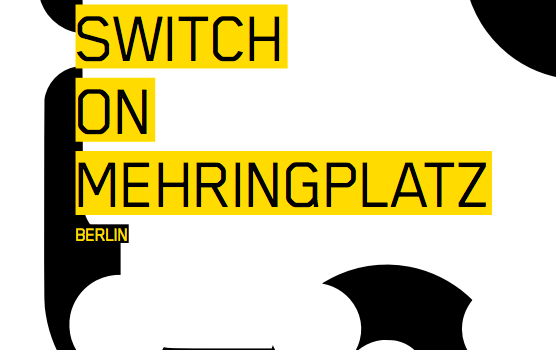 Please read this inspiring publication by our friends and partners from Tesserae Urban Social Research about the Mehringplatz Anknipsen-project which we hosted for more than a year! This booklet is the final outcome of the training program developed in Berlin by Tesserae Urban Social Research within the EULER transnational exchange, a collaboration between organisations from Antwerp, Barcelona, London and Berlin. The aim of this programme has been to promote participatory methodologies for social and entrepreneurial initiatives at the scale of the neighbourhood. The following report is structured into three parts. In the first they outline the general features of the neighbourhood selected for the application of their methodology and the reasons why it was considered a fertile ground for our territorial laboratories. In the second they present the calendar of training activities that have taken place. The modules correspond to the structure of the methodological toolset that have been specifically assembled for this programme. The third one shortly introduces the concept of an online neighbourhood atlas of which a prototype was designed as an experimental outcome of the programme’s activities. Compliments for a great publication and we are proud to be partner of this project!